Location! Location! Location! Fronts to Harlow Park/Pool/Tennis, walking distance to Riverside Restaurants, Platte River trail, golfing and Downtown Littleton. Completely renovated ranch style home with low maintenance and durable LTV flooring, energy efficient windows, and new electrical. Stay cool inside with central air conditioning or enjoy the tranquil outdoor living space addition. Enjoy cooking in the new kitchen equipped with new graphite appliances, breakfast bar, granite counters, white shiplap, Shaker cabinets and pantry. 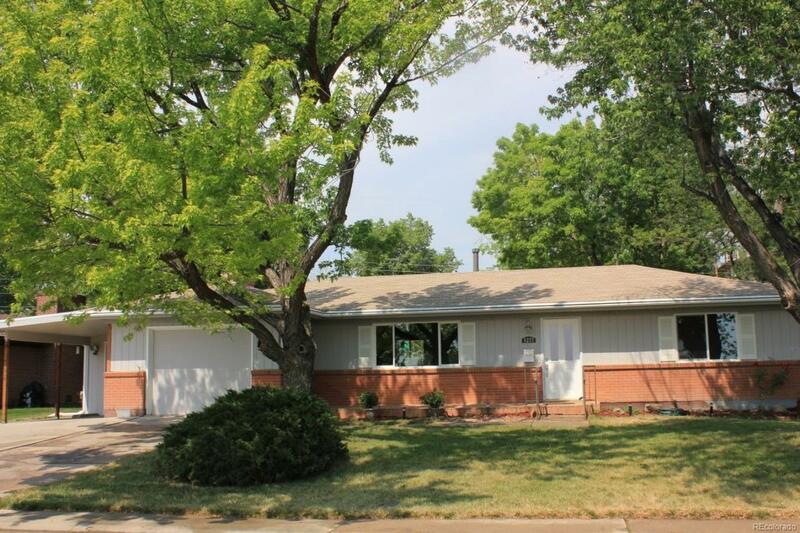 Plus, this home offers gorgeous new bathrooms, fresh paint, new carpet, large great room in basement with 4th bedroom and 2nd bath, ample storage, workshop bench, and so much more! Outside enjoy the mature trees and useful tool shed. This is a must see. Don't wait!